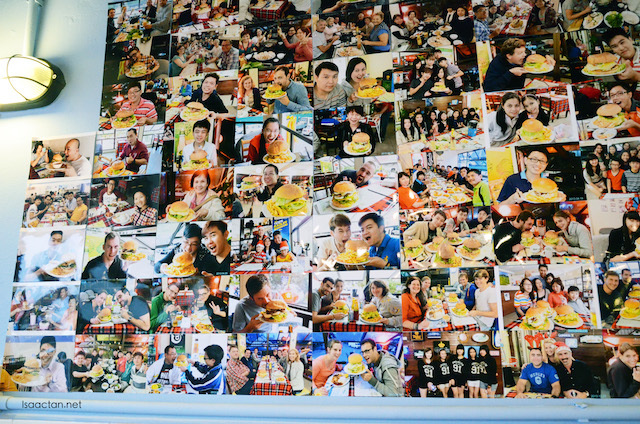 Gossip Time started their business in the highlands of Cameron Highlands, with its signature Big Burger Challenge, and wantan noodles. 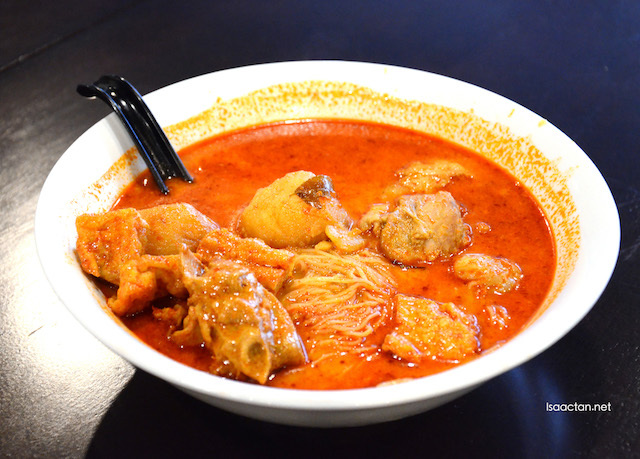 3 years after setting up at Cameron, the owner decided to open its branch here in Petaling Jaya, which is a non-halal version by the way. We kicked off dinner with Gossip Time's Special Curry Chicken Set. Served with the main curry chicken coupled with a bowl of piping hot rice, papadam, fried eggs and soup of the day, it was a complete meal in itself. 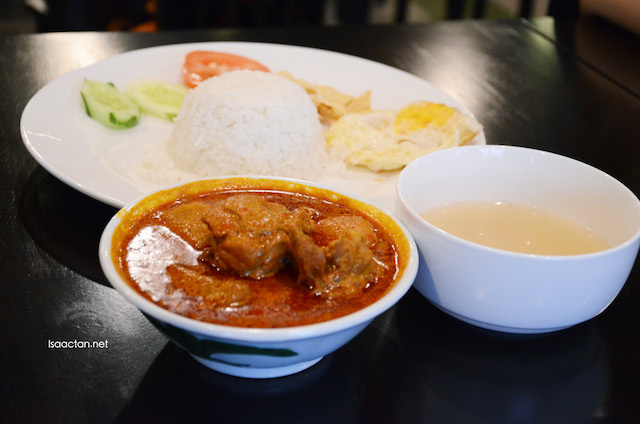 Interestingly, the curry itself contains no santan, and they use spices, lemongrss and fresh milk instead. The results were good though, with a chicken curry that can rival some of the best. Love it. 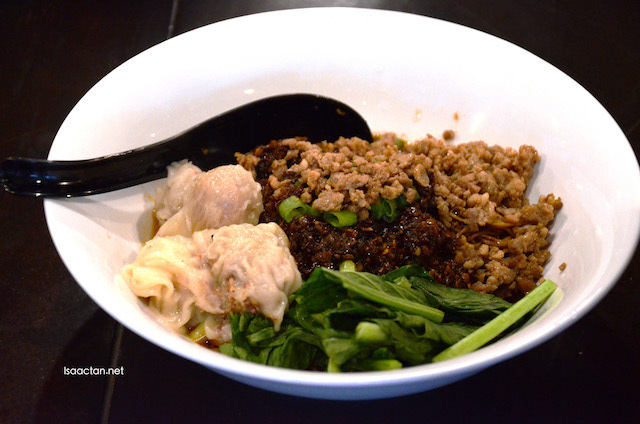 Up next, another signature dish from Gossip Time would be their Gossip Prawn Wantan Mee, which tasted exceptionally good. Highly recommended for that firm and bouncy texture of the noodles, the chef did mention the noodles does not contain any boric acid. I do like the wanton balls as well, being bigger than your usual one. Gossip Time has the soup version of the Prawn Wantan Mee as well. 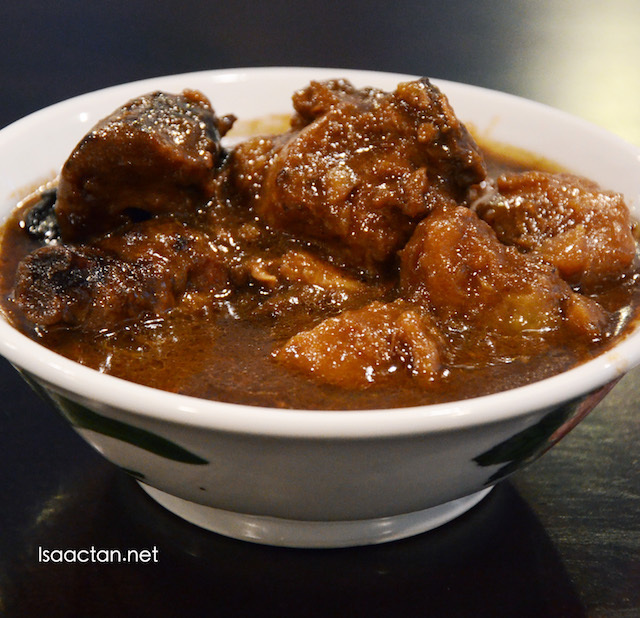 The pork bone based soup has a really creamy taste to it. Love how large the wantans are, 3 chunky pieces per dish. I do feel the pricing is very reasonable as well, as the portions are large even for the small sized ones. Another nice dish off their menu would be the Mushroom Chicken Rice. A very chinese-like dish, the chicken is braised with deep fried potatoes, giving out that very fragrant taste. Served with rice on the side, good stuff here. 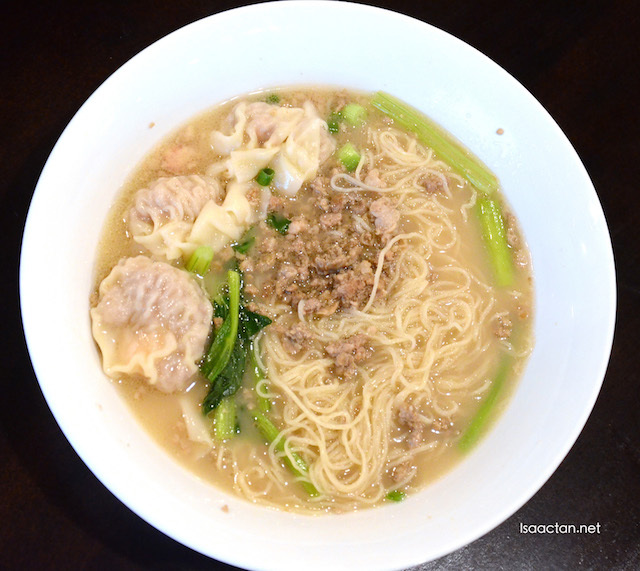 They even have a curry chicken version of their Wantan Mee, the Curry Chicken Wantan Mee if you like your dish spicy. The outcome is almost similar to curry noodles, except for the noodles used. The curry here is lighter than their other curry chicken dish on the menu. 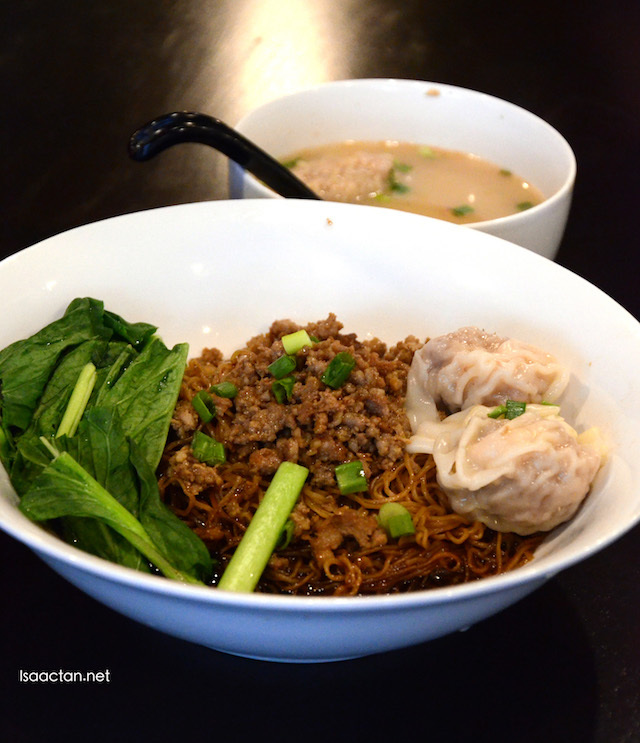 If you're looking for an even spicier dish, one that will bring out the sweat, then you must try out Gossip Time's Spicy Noodle King. Don't let its looks deceive you, with a strong spicy taste that lingers in your mouth and on your tongue, this is not a dish to play with. The chef actually used seven special ingredients with chillies of different types for this dish. Fire up your taste buds! Imagine having satay with your chicken chop. 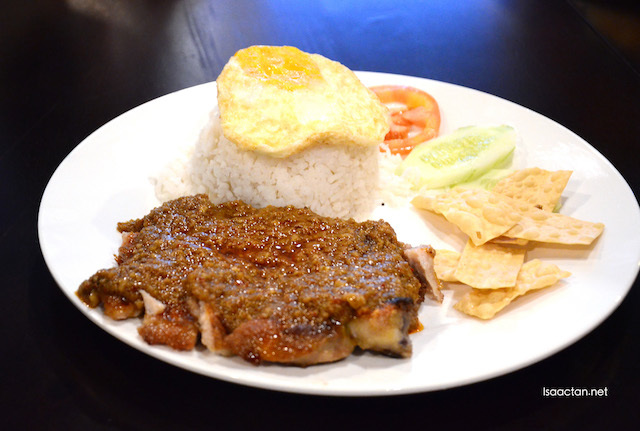 Doused with generous amount satay sauce, the Special Satay Sauce Chicken Chop Rice is one yummy dish. I would have loved if the chicken chop has more flavour of its own though, but it is indeed very crispy. As for the satay sauce, it's okay, not excellent, as I would have preferred a more flavourful sauce. 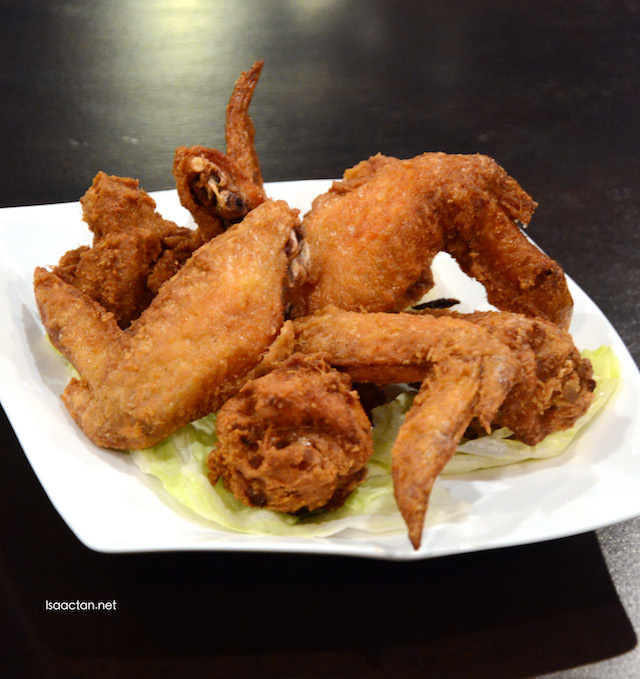 Simple, and effective, the deep fried chicken wings are on their menu to delight your palate. Good to be taken as a snack to complement your main dish, the chicken is pre marinated with special ingredients and fried to a crisp while being juicy still on the inside. One of the bestsellers of Gossip Time would be their Gossip Pork/Chicken Burger King. It's huge! 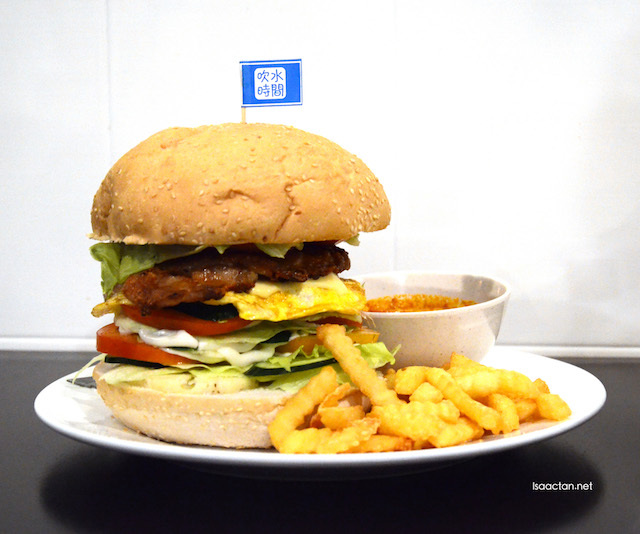 The burger itself is made out of multiple layers of chicken chop or pork chop with slices of tomatoes, cucumbers, lettuce, pineapple, onions and omelette. Served with fries and sauces on the side, I do recommend to share this giant burger. 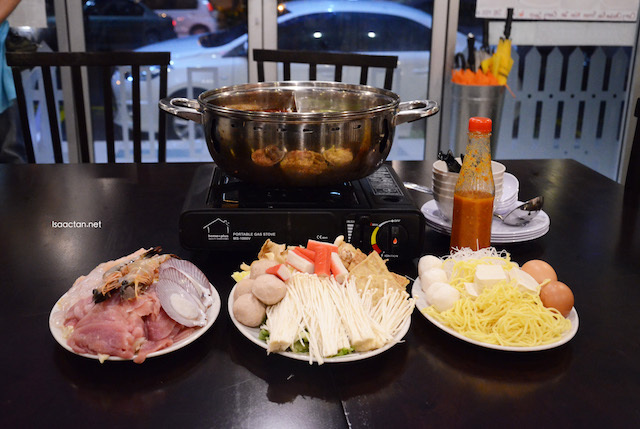 One of the reason diners drop by Gossip Time is also to have their special steamboat set. 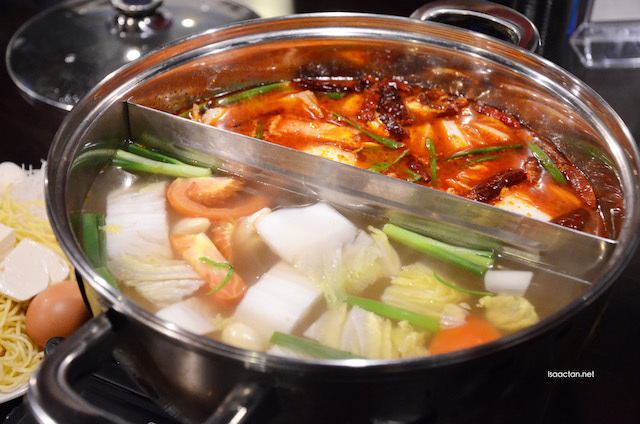 They offer two types of soup base, the pork bone and special spicy broth. Price per pax is RM24.90 with a minimum order of 2 pax. 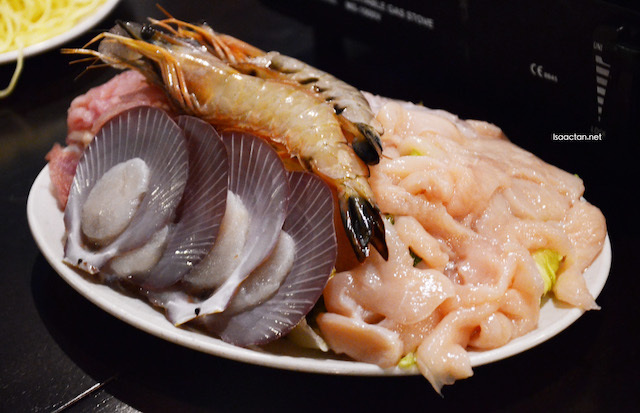 With rather generous servings of prawns, slices of chicken, slices of pork meat, fish, meatball, enoki mushroom and more, it's the perfect meal for a rainy day out. 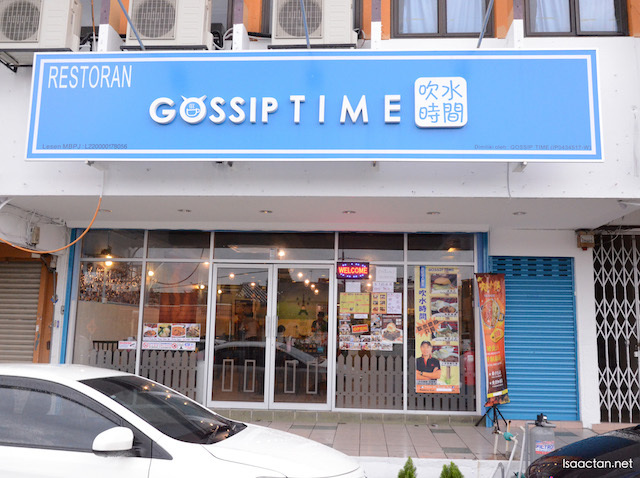 Do drop by Gossip Time Restaurant @ Paramount Garden Petaling Jaya the next time you are in the vicinity. I like the name of this restaurant. The food served are common but that's what we normally order in the shops and restaurants. The prices look ok too. i feel ike I like this resturant. the food look nice, and big portion enough with the afforable price, like! and wanted to try the giant burger too! The food looks so good! Haha Isaac are you sure you didn't have any gossip time? Wow, its so near to where I stay! Interesting combination of Asian & Western food. Gonna check out on this place. funny shop name and the foods looks delicious! ha..ha..so cute this restaurant name :P esp the Cantonese name of it, very creative owner!